You all know I love a good t-shirt refashion mixed with some macramé. 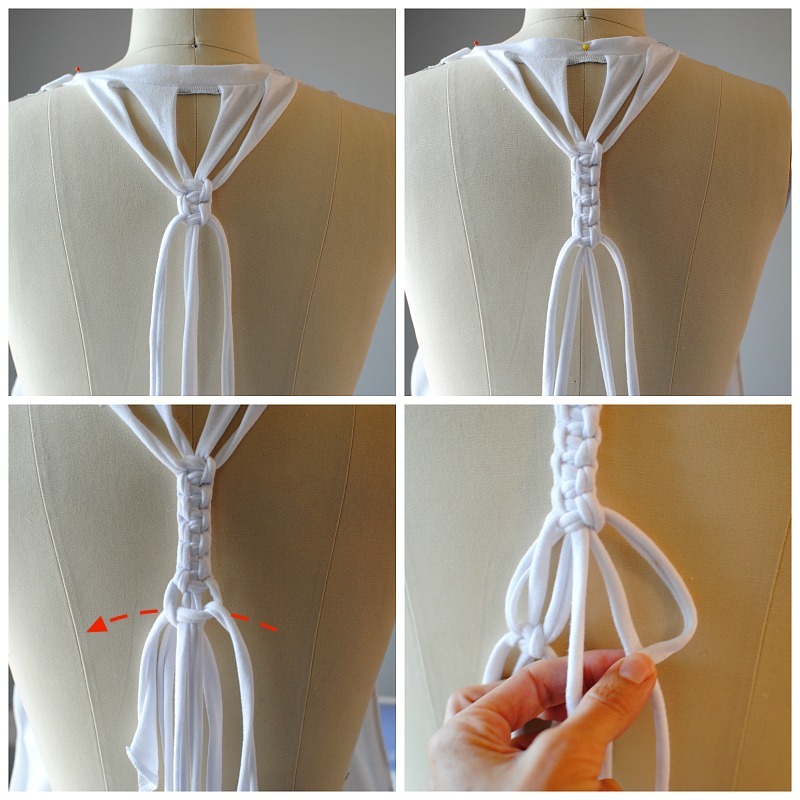 I love this simple update that requires basic sewing and macramé skills. It's cute for a summer top to a beach cover up and even a low impact workout look. 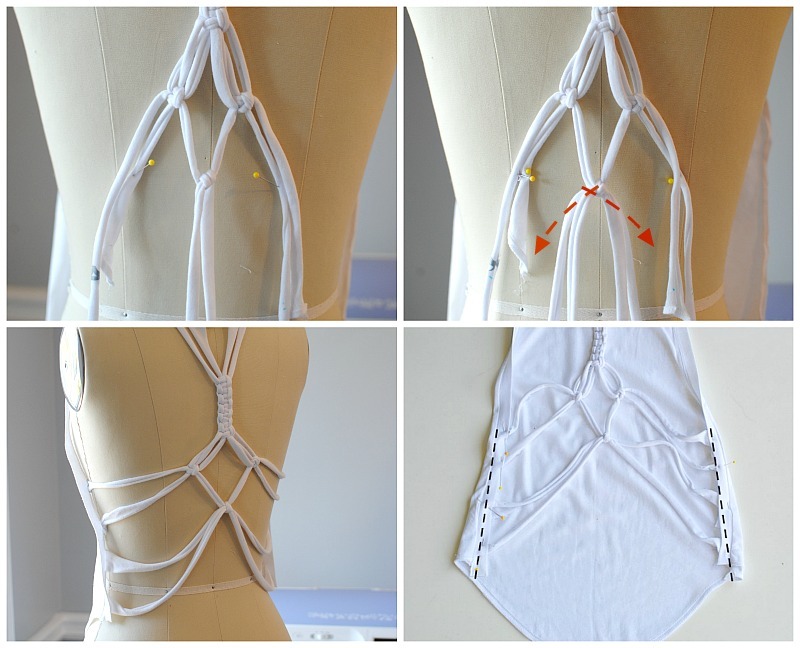 You can use this knotted pattern for the Macramé Racer Back here just keep the bottom back drape as well. 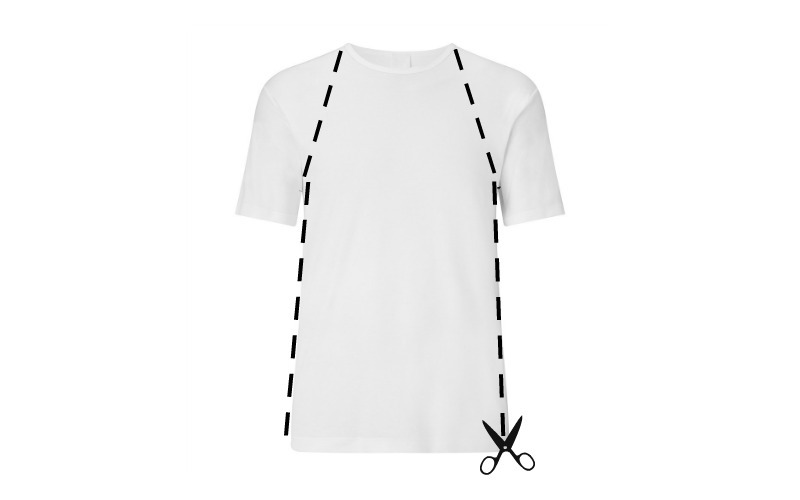 Cut a t-shirt into a halter and cut the side seams as well separating the front and back. DO NOT cut the collar. For the back: Remove the bottom hem (which I saved for binding on the sides). I've done a tutorial on this here. Note: My shirt had the curved hem to begin with. Cut even strips from bottom to collar making sure not to cut through the collar. I made mine 1.5" each. 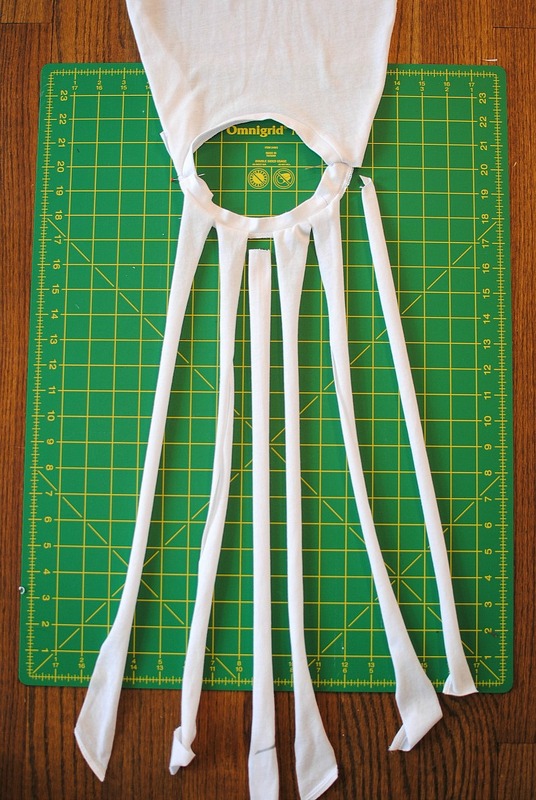 You will need 4 strips attached to the collar. Remove ONLY the side strips (save for later). and the middle strip you won't need. Remove the side strips and middle just cutting under the collar stitches. You will want 4 strips hanging from the collar band. Pull the strips into string. Tugn aggressively to get a lot of length for the macramé because they can shrink up to 50%. 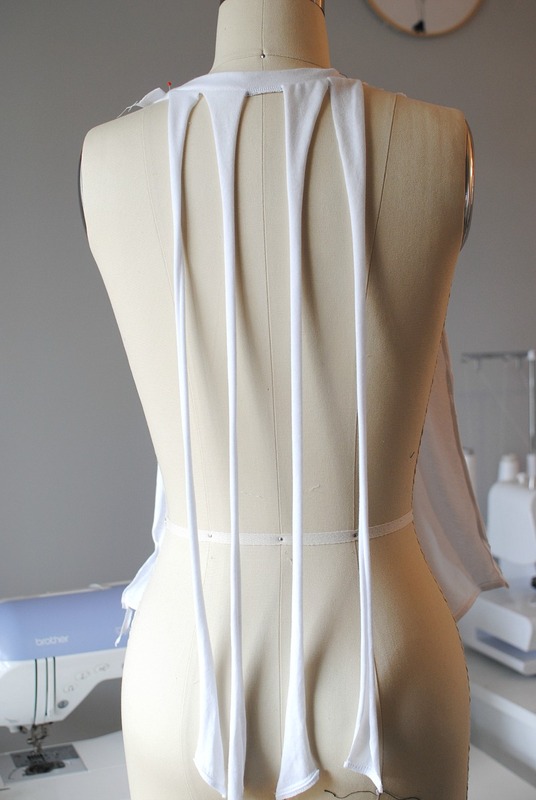 Use a dress form or painters tape on a surface to secure the back cords. Start with a series of square knots. Once you get to the mid-back add one of the additional strips you cut just behind the last square knot loop before securing. Make sure this cord is even. Separate in sections of 2. Repeat a square knot a couple inches down on each section. Instead of wrapping around the inner 2 cords just wrap around 1. Now for the center 2 cords. Wrap them together as if you're tying them. Before securing add the last additional cord. Make sure it's even and secure it with a basic knot. Pin to the front of the shirt. Before sewing make sure it fits. 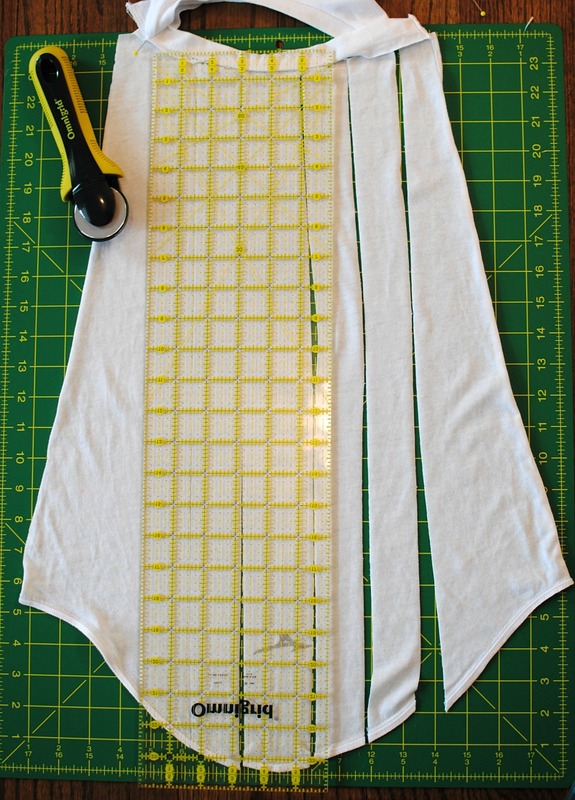 Tip: Finish the side edges before sewing the strips for a more professional look. I used the bottom hem of the back and make a binding along the front arm holes and side seams. Last, top stitch the strips into place. When I sewed them I did one straight line (I didn't sew each strip separately) and made sure the strips were open and flat. They naturally will curl when pulled. That's it! I love how it turned out and think you could create some more interesting patterns with like this. That's nice guide. 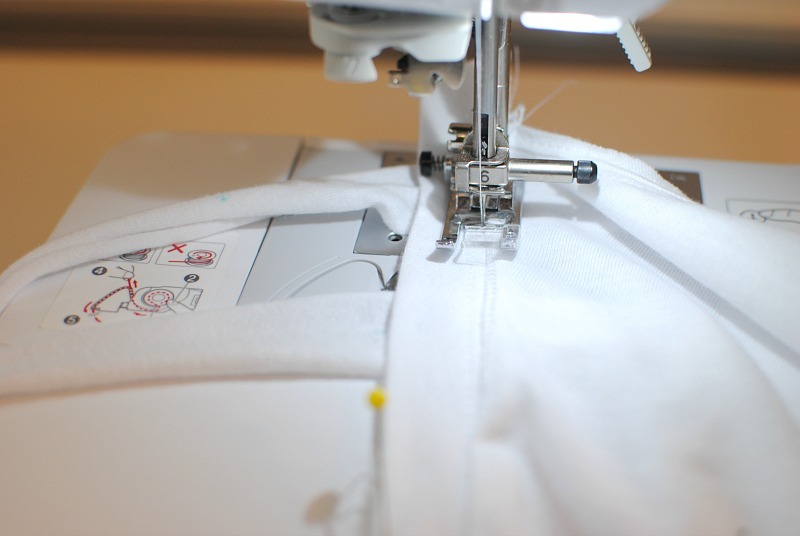 I will try making my own T-shirt. Do you want to write without grammar mistakes? Have a peek at this https://nerdymates.com/blog/writing-mistakes article!